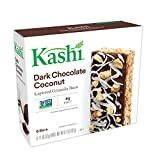 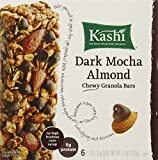 A Kashi Dark Mocha Almond Granola Bar is a snack bar from Kashi Foods a division of Kelloggs. 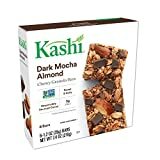 The caffeine in Dark Mocha Granola Bars comes from dark chocolate and coffee extract. 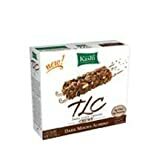 However, this delivers such a small amount that unless someone is ultra-sensitive to caffeine, it will be of little consequence.